You are browsing the archive for 2017 December 14. Nearly a year since the Women's March, feminism remains relevant enough for Merriam-Webster to deem it the most-looked-up word of the year. She was one of the Royal Family’s most trusted confidantes. She helped bring up a future Queen. Her loyalty and loving care were rewarded with royal favor and even a rent-free home for life. But in 1950, Marion “Crawfie” Crawford, beloved Scottish governess of Princesses Elizabeth and Margaret and servant of the Royal Family, was expelled from court, kicked out of her house and shunned by the very people she’d loved for decades. Her crime? Spilling the beans about her former charges. Crawford was the first servant in the royal household ever to cash in on royal secrets—and she paid the price for her candor. A trained teacher, Crawford was just 22 years old when she entered the Royal Household. She was hired by the Duchess of York—the future Queen Mother—as a governess for her two daughters, Elizabeth and Margaret. Their uncle, Edward, was expected to become king and they were raised accordingly (their father Albert, Duke of York, was second in line to the throne). Crawford’s charges were privately educated, and had little contact with the outside world. Daily life was routinized and quiet. Then, everything changed. Edward, now king, fell in love with Wallis Simpson, an American who had been married twice. At the time, it was unheard of for a king to marry a commoner, much less a divorced American. But Edward refused to relent and in 1936, against his family’s wishes, he abdicated in order to marry Simpson. Albert (now George VI) became king, with his oldest daughter, 10-year-old Elizabeth (known fondly as Lilibet), next in line for the throne. Crawford moved with the family to Buckingham Palace and helped train her charges for their royal roles. But she also worked to make life as normal as possible for the girls. 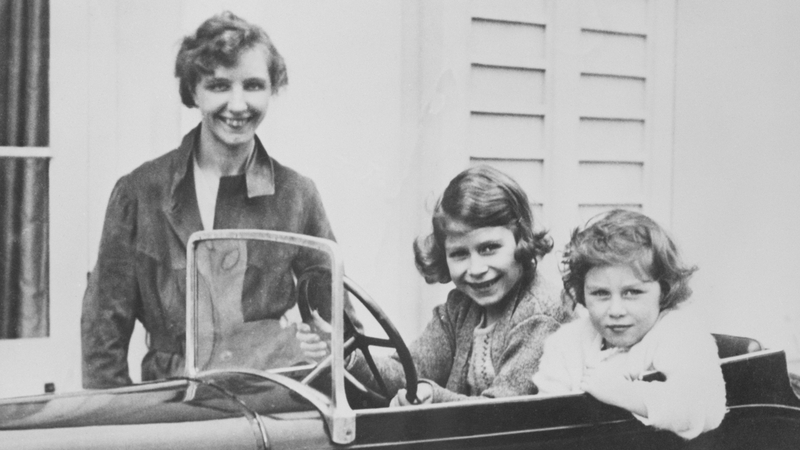 She took them on expeditions outside the palace, formed a Girl Guide troop for royals, and took them shopping at stores like Woolworths. Many Mises.org readers know that Lew Rockwell, founder of the Mises Institute and quiet benefactor to countless individuals in libertarian circles over the decades, continues to recover from a recent back injury. While the episode has not quelled his enthusiasm for liberty, recovery is no picnic. Apparently medicine remains in the Dark Ages when it comes to backs, especially lower backs. Some treatments are sketchy and unreliable, cortisone injections provide only fleeting benefit, pain management is fraught with nausea and other nasty side effects, and surgical options portend Armageddon. All that said, Lew is in great hands with innovators at Emory University (yes, xenophobes, we have wonderful doctors down South) and feeling much better. A procedure performed earlier this week appears to have yielded tremendous benefit, and we expect Lew back at 100% very soon. My point in writing this is twofold: first, to update friends and supporters of the Institute on Lew’s progress, and second to remind all of us of the tremendous debt of gratitude we owe him. Let me risk Lew’s wrath by sharing a few personal details about him. Few people know that his much older brother was killed as a young pilot during World War II—by friendly fire. The family never fully recovered, of course, and the event instilled a deep antiwar sentiment in Lew as a boy even though he could not fully grasp the depth of the tragedy and his parents' grief. And while he grew up as a Taft and later a Goldwater conservative, Lew soured on the GOP during the Nixon era and dismissed it as a hopeless and even malevolent force. Lew and Mardi Rockwell are adoptive parents to a wonderful special needs daughter, who came into the world lacking the devoted parental care she would need. It was Ron Paul who brought her to Lew’s attention, and with his medical partner, facilitated everything. I’m always puzzled when Lew is attacked as a “right winger,” especially by libertarians. This is a charge made by those who insist on attaching a left-cultural component onto political libertarianism, and thus find Lew’s commitment to his Catholic faith and the natural rights tradition suspicious if not disqualifying. But political liberty is about state power, not extra-libertarian cultural preferences. Lew’s America would allow any and all voluntary social arrangements; that he would not endorse all of them is beside the point. The Media Keep Saying the GOP Tax Bill Is Best for Rich Families. They're Wrong. Center. In 2019 the middle-income quintile (or one-fifth) of U.S.
credits for the middle class. of overall federal taxes going forward. extra-large share of the tax cuts. increase in refundable tax credits. Massachusetts is the healthiest state, while Mississippi ranks last. For anyone wondering why the School of Salamanca is said to have founded the modern study of economics, tremendous insight is provided by D’Emic’s study of Cristóbal de Villalón’s El provechoso tratado de cambios y contrataciones de mercaderes y reprobación de usura (Valladolid, 1541) and Luis Saravia de la Calle’s La instrución de mercaderes muy provechosa (Medina del Campo, 1544), the latter with its important subsection, Tratado de cambios. The reason is the deep interest taken by everyone from academic theologians to street-level confessors in the thoughts and behaviors of Castilian merchants circa 1550. From a broad perspective, the new financial and commercial reality meant that business activity now attracted the attention of religious authorities worried about the souls of their congregants. Medieval trade in wool and wheat at seasonal fairs had become early modern trade in everything under the sun, involving complex international operations and calling for methodical moral evaluation. From a broader perspective, the new, impersonal and money-based bourgeois capitalist society was beginning to outpace the older agrarian one. D’Emic wades straight into the financial details of mid-sixteenth-century Castile. The fact that modern merchants and financiers were forced to submit to moral authorities, who, for their part, maintained medieval perspectives on business, made for curious social feedback mechanisms. As one example, the instinctive antipathy toward usury on the part of religious and intellectual authorities—who were usually the same, and who usually appealed to Aristotle’s and Aquinas’s awkward, abstract view of the “unnaturalness” of making money with money—forced merchants to resort to elaborate financial instruments. And as these financial instruments became more elaborate, the churchmen entrusted with deciding whether or not they were moral labored to produce detailed accounts of their use. That is how D’Emic’s book is about the early modern birth of the field of economics in mid-sixteenth-century Spain. So what is the controversy about? FCC commissioner Ajit Pai proposes to repeal rules upholding “net neutrality” and replace them with a very simple rule: tell all customers about your services and prices in a transparent manner. What is net neutrality? The internet is simply a set of pathways for transmitting packages of 1s and 0s—the basic language of computers—from one computer to another. When content (such as email, music, or video) is transmitted, the content is broken down into small packages of information, each of which, is sent separately over the internet to a destination computer, which then reassembles the information packages back into the content. Network neutrality requires that all the different packages of information be treated and priced alike by internet network providers regardless of who sent them or what information they contain. While net neutrality sounds appealing, the actual internet experience that we have come to enjoy and expect actually requires non-neutrality. In the early days of the internet, packets of information were basically treated alike. This was back when the internet was a government-funded communications system that allowed university researchers to communicate with each other. However, when the internet started to allow private internet service providers (ISPs) to connect to the government system in the 1990s, the structure of the internet became more complex. Private backbones supplemented the original government network, connecting through four backbone network access points. The four access points almost immediately became congested with traffic, which gave the backbone operators market power over regional ISP providers. To reduce congestion and limit backbone market power, ISPs quickly developed new pathways and connections. Thus since the early days of the private internet there have been multiple paths for packets of information to travel. Similar packets have traveled over different pathways at different speeds and have long paid differing amounts to do so. These arrangements were not anti-consumer or anti-competitive. They were simply what was required to create redundancy and overcome market power. Trump adviser Stephen Moore finally concedes what we've known all along. In the halls of Congress on Wednesday, 84 activists from progressive groups were arrested for seeking meetings with their representatives to protest the GOP tax plan. Among those present was Alex Lawson, executive director of Social Security Works, which seeks to protect and expand the earned benefits program. Other participating groups were the Center for Popular Democracy, the Women’s March, the Strong Economy for All Coalition, and Hedge Clipper. Lawson noticed Stephen Moore, the conservative economist and tax-cut evangelist, walking past and pinned him down on camera, forcing him to admit that not everyone in the country is in line for a tax cut as the GOP has promised. Lawson: Stephen, do you want to give a standup about the tax bill? Moore: What is this for? Lawson: This is for… a bunch of people are being arrested for protesting the tax bill. Moore: Why are they protesting? Lawson: They’re protesting a handout to billionaires and robbing us. Well, you’re not a billionaire, right? Moore: Haha. I wish I were. I’m trying to be a billionaire. Lawson: You just flack for them. Moore: I think everybody should get a tax cut. It would be good for America. Lawson: What happens in 2027? Because factually, that’s inaccurate. Not everyone gets a tax cut, right? Moore: I helped write the bill. Lawson: I know. That’s why I’m saying you know that you’re lying right now, because not everyone gets a tax cut. 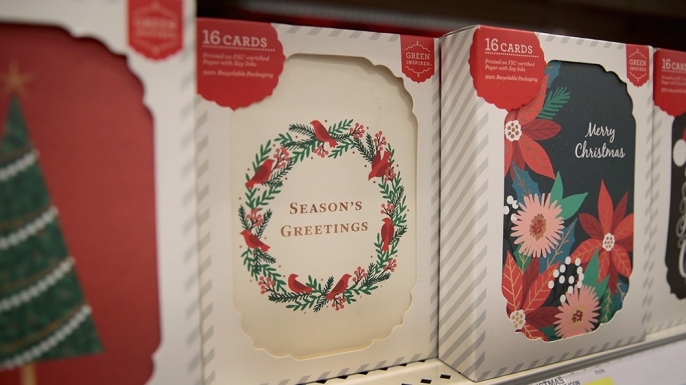 In recent years, the debate over whether to say “Merry Christmas” or “Happy Holidays” has become as reliable a post-Thanksgiving tradition as the Black Friday shopping craze. Like many issues these days, the great holiday greeting debate tends to separate along political lines as much as religious ones. According to a poll conducted by the Public Religion Research Institute in 2016, 66 percent of Democrats said that stores and businesses should greet customers with “Happy Holidays,” “Season’s Greetings” or some other general greeting, rather than “Merry Christmas,” as a show of respect for different religious faiths; only 28 percent of Republicans felt the same. Setting aside politics, what’s the history behind the different greetings? How did a simple salutation get so controversial? Much like “Merry Christmas,” it turns out that “Happy Holidays” also has religious roots. Both are derived from Old English: Christmas comes from “Cristes Maesse,” or the Mass of Christ, the first usage of which (in 1038) described the mass held to commemorate Christ’s birth. As for “holiday,” the word emerged in the 1500s as a replacement of the earlier medieval word “haliday,” which itself had supplanted the Old English “haligdæg,” meaning holy day. Recently, an investigation into the history of the phrase “Happy Holidays” as a seasonal greeting in the United States by self-described history nerd Jeremy Aldrich turned up its usage as early as 1863, in the Philadelphia Inquirer. By the middle of the 20th century, the phrase was well established in popular usage, as shown in a study of ads run by the R.J. Reynolds Tobacco Company of Winston-Salem, North Carolina, in Carolina Magazine from 1935 to 1942 to encourage giving the gift of tobacco. 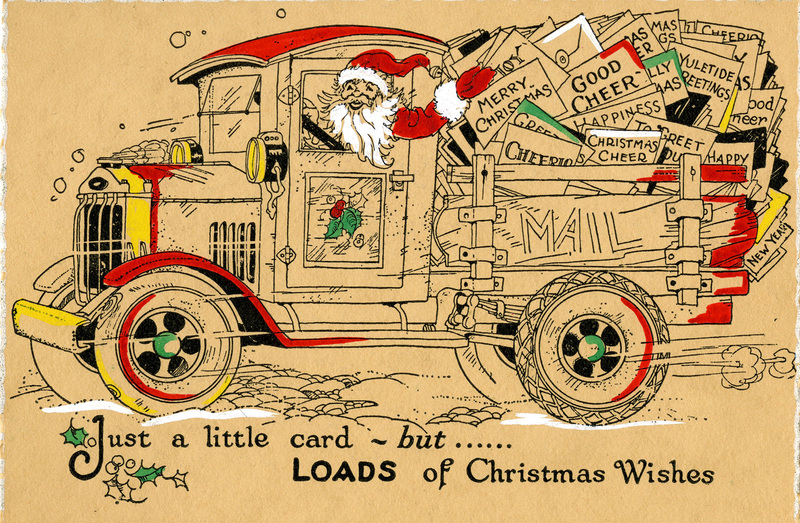 A 1937 ad proclaimed: “A gift of Camels says, ‘Happy Holidays and Happy Smoking!’” Other ads from the 1930s and early 1940s stuck to “Season’s Greetings,” but all featured jolly, grinning Santa Clauses, reindeer, Christmas trees and other recognizable Christmas symbols. What is a Fashion designer Income Worth?